2015 The Four Graces Pinot Noir, Willamette Valley - $20.99 93 points Wine Spectator. Expressive and supple, with a complex core of lively tannins and acidity, plus accents of black cherry, cinnamon and spice that linger toward a minerally nish. Drink now through 2024.—T.F. Steve and Paula Black began the pursuit of a dream when in 2003 they purchased the 110-acre vineyard located in the Red Hills of Dundee and created The Four Graces. The Four Graces is aptly named after their four daughters – Alexis, Vanessa, Christiana, and Jillian. Brother Nicholas is recognized on the Reserve as "Keeper of The Four Graces." 2015 Bear Flag Zinfandel, Sonoma: 92 points Wine Spectator $21.99. Based on a California Republic Proclamation from 1846, this wine offers a nod to Sonoma’s place in history. It was the location for the Bear Flag Revolt, a fight for Californian independence. We see this as a great representation from one of the state’s best growing regions for this variety. With 78% Zinfandel, 9% Petite Sirah, 6% Teroldego, 5% Malbec, and 2% other varieties, the majority of the fruit hails from Dry Creek Valley. With classic Zin aromas of peppered nettle and blueberry tart, the palate is rich, dense, and forward. This plucky Zin shows brightness, with a rustic, textured mouthfeel. Of all North Berkeley Wine Imports' producers, Frédéric Magnien, with his impressive selection of historic premier cru and grand cru terroirs, offers the most complete experience for those passionate about Burgundy wines. And for those who have already been seduced by all that is Burgundy, Magnien offers a lifetime of exploration into the region’s most impressive and rare vineyards, now all within reach. Frédéric is a fifth-generation winemaker from Morey-Saint-Denis, and Burgundy is the family’s lifeblood. Learning the craft first from his father, Michel Magnien (of Domaine Michel Magnien), Fred also traveled to California and Australia to hone his talents before returning home and starting his own négociant domaine in his native village. There’s no question that Magnien knows every nook and cranny of Burgundy by heart. As a child, he used these vineyards as his off-road bicycle course, riding through premier and grand cru plots. As a winemaker, Magnien still rides his bike through the fields to greet growers at first light; his are long-lasting partnerships based on trust and respect. As a négociant, Magnien differentiates himself in that he works closely with his partner vine growers throughout the year, selecting only older-vine parcels that are cared for to his exacting standards. His own teams pick the grapes at harvest, a further qualitative step. (Most négociants buy juice, not grapes.) Most of the vineyards Magnien purchases grapes from are either certified organic or in the process of conversion. In the cellar, juice is fermented on indigenous yeasts; wines are aged only in the highest-grade François Frères oak—a practice followed by other exclusive estates, such as Domaine de la Romanée-Conti and Comtes de Lafon. Magnien chooses to use mostly older barrels for aging, with approximately 10 percent new oak for premier and grand cru wines. All wines are unfined and unfiltered. 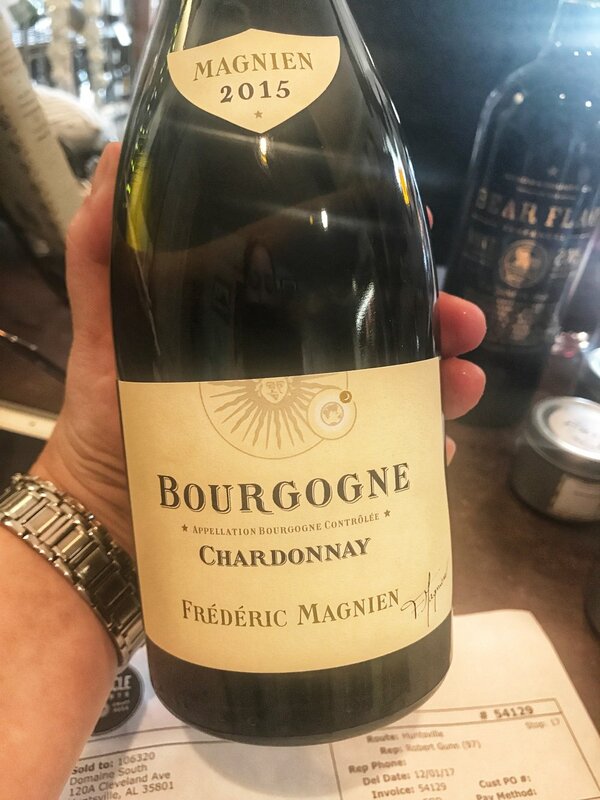 The 2015 Bourgogne combines peerless Chardonnay fruit from vineyards in Chambolle-Musigny, Fixin, Marsannay and crucially, Meursault. The best of all worlds! This Port is aged for 4 to 6 years in large old oak vats (as opposed to Vintage Ports, which age for 2-3 years). LBV Ports fill the gap between Ruby and Vintage Ports, as Rubies should be drunk quite young and a Vintage Port may need 15 to 20 years to really open up and show its splendor. This led to the creation of a Port in the 1960s which would undergo 4 to 6 years ageing in large vats before being bottled, resulting in a wine of a Vintage Port style with its deep colour and concentration of fruit but with a more mature character due to the extended ageing period in wood. After a couple of dry winters, the Douro region experienced a wet winter in the lead up to 2013, which was most welcome as it restored water reserves. The spring and summer were relatively cool, with an absence of rain until the beginning of September which brought a few showers, allowing the grapes to ripen fully. Luckily, the majority of the fruit was picked before the rain set in at the end of September! All grapes for the LBV 2013 were sourced from old vineyards in the Cima Corgo region of the Douro Valley. Harvest took place under fine conditions, and after being carefully sorted, the grapes were crushed with their stems and directly transferred to granite lagares where they were foot-stomped prior to fortification. Following a few cool winter months spent in the Douro, the wines were transported to the cellars in Vila Nova de Gaia at the beginning of 2014 and aged in large wooden vats. They were bottled in the fourth year – the tradition at Niepoort is to retain plenty of freshness in the wines. 92 Wine Spectator: This is round and laced with cherry, currant, tobacco and iron flavors. Firms up quickly, with a fine matrix of tannins for support. Balanced overall, with a long finish of tobacco and iron. Drink through 2033.